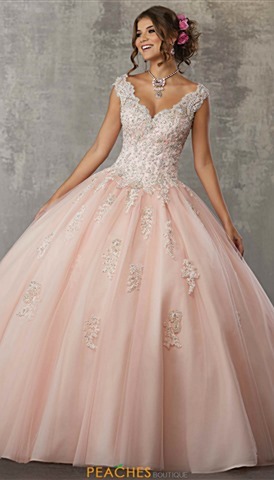 Blush colored dresses are an exquisite look for a wide range of occasions, from homecoming 2018 dresses, to prom 2019, a black tie affair or even a wedding for the untraditional bride. This soft pink color gives an air of whimsical romance to the wearer, and compliments almost any skin tone. Peaches Boutique carries a vast selection of blush prom dresses, in long and short styles. Whether you like a long gown with stunning hand sewn bead work, a more simple and sleek satin look, or some fully bedazzled and dramatic mermaid styles, we have the perfect dress for you. Whatever style best fits your unique aesthetic, you have found the perfect place to see all kinds of lovely blush styles!